Plot Synopsis: It’s no picnic for the Brown family — father Jay (BILLY GREEN BUSH), mother Helen (DEE WALLACE), daughter April NADINE VAN DER VELDE) and son Brad (SCOTT GRIMES) — when a lethal litter of carnivorous aliens arrives unannounced at their Kansas farm. Trapped in a deadly nightmare, the terrified Browns fight for their lives against the attacking bloodthirsty monsters. But it’s a losing battle until two intergalactic bounty hunters (TERRENCE MANN) arrive, determined to blow the hellish creatures off the planet! It’s an alien adventure, full of action and crawling with Critters. 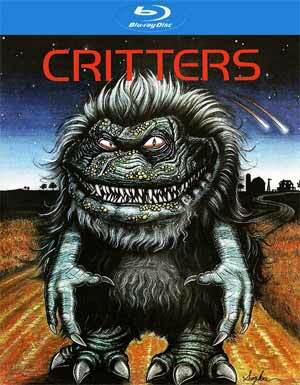 Quick Hit Review: Not entirely sure, but I assume since Critters was released in 1986, many comparisons were drawn between it and Gramlins. Although certainly that movie was better, hell its sequel was great; Critters still had that cheesy fun factor that made the film so enjoyable. By mid-80s standards, the effects were decent enough and the acting, considering they’re attempting to outrun a bunch of fur balls, wasn’t bad either, led way by the young Scott Grimes who at the very least made for a tolerable child actor and not overly precocious, one of my pet peeves. 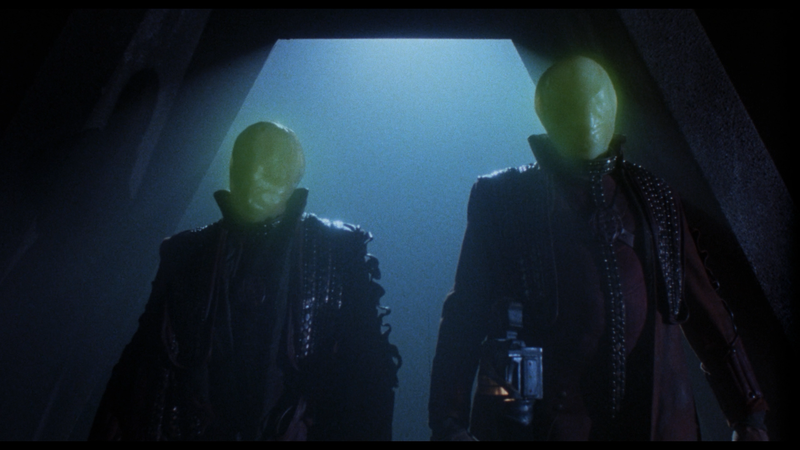 Directed by Stephen Herek, who would go on to also helm Bill & Ted’s Excellent Adventure and Mr. Holland’s Opus (as well as one Disney’s first live action adaptations, 101 Dalmatians) from his script co-written by Domonic Muir (Evil Bong trilogy), Critters did have some slapstick humor which was more eye-rolling, but otherwise I did have a lot of fun watching this first film of the quadrilogy. Both tracks are pretty good, though kind of enjoyed the second one a bit more, but each one provides bits of information from different perspectives. They Bite! : The Making of Critters (1:11:05) is an expansive feature-length documentary going through every bit of the process of getting the movie made from the concept through production and finally, release. Includes new interviews with Actors Dee Wallace, Don Opper, Terrence Mann and Lin Shaye, Producer Barry Opper, Critters Designers Chiodo Brothers, some others in the crew, as well as an interview from 2008 by writer Brian (Domonic) Muir, who sadly passed away in 2010. Should be noted that the back cover says Scott Grimes was a part of this, but he is not. For Brian: A Tribute to Screenwriter Domonic Muir (21:57) – As I said above, unfortunately Brian Muir passed away in 2010 and here we get interviews with those who knew him, telling some great stories, such as a Critters screening where the Critter sequences were spliced out (apparently a fan had taken them). Behind the Scenes Footage (11:52) – These older featurettes from the 1980s are always great to watch. Alternate Ending (4:23) – This one doesn’t have the bounty hunters rebuild their house at the end. Also included is the Theatrical Trailer (1:30), a few TV Spots (2:05) and a Still Gallery (5:49). 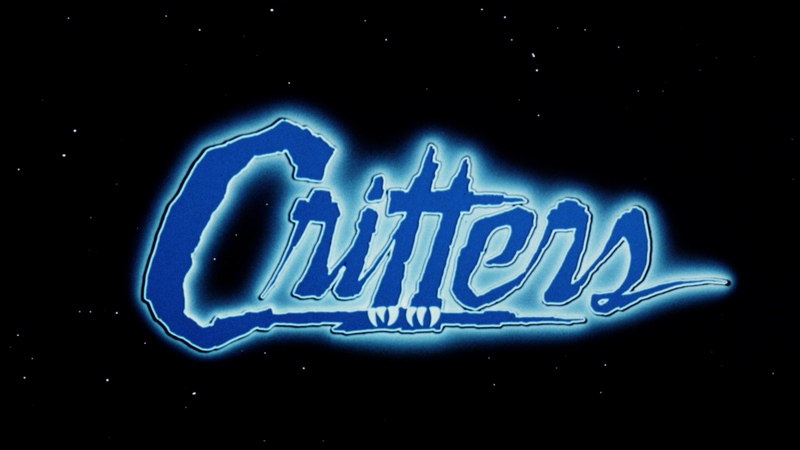 Critters debuts on Blu-ray where it is presented in its original 1.85 widescreen aspect ratio and given a new 1080p high-definition transfer, culled from a 2K scan from the original film elements. This is indeed a great looking picture, and although there were a few minor specs, which I only noticed while looking closer in preparation for this review, detail still was sharp and colors appeared vibrant. Without checking out the DVD, I can only imagine this Blu-ray the difference was probably night and day. There are two options available, 5.1 and Mono DTS-HD Master Audio tracks, the former being the default. Having tested both, though I did watch the entire film with the 5.1 option, this is a fairly robust soundtrack that provided some clear dialogue levels and some fine depth for the Critter-action sequences along with ambient noises or the score coming from the front and rear channels. The Mono track is certainly adequate as well and presumably gives you an almost genuine theatrical experience as if you saw the movie in the theater back in 1986. 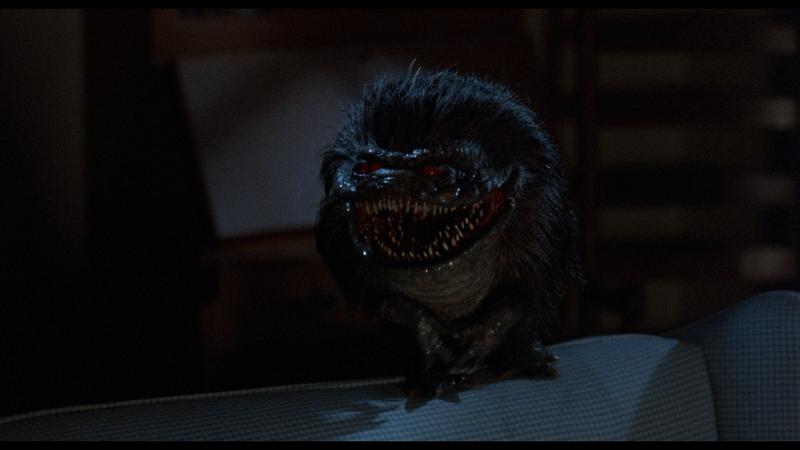 Overall, Critters is a fun first film in the quadrilogy with some really impressive puppetry and animatronic work to go along with just a enjoyable flick from the silly beginning to the even sillier finale. The Blu-ray release from Shout has a great selection of bonus features headlined by a one hour plus documentary along with great video/audio transfers.